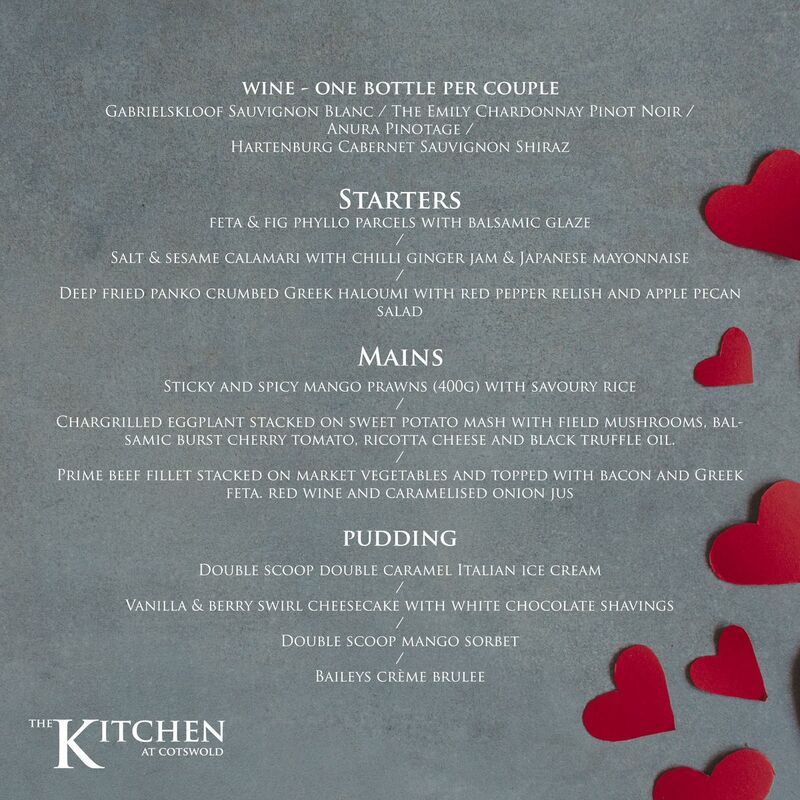 We have a delicious Valentine's Day Set Menu prepared! Bookings are essential if you would like to join us. 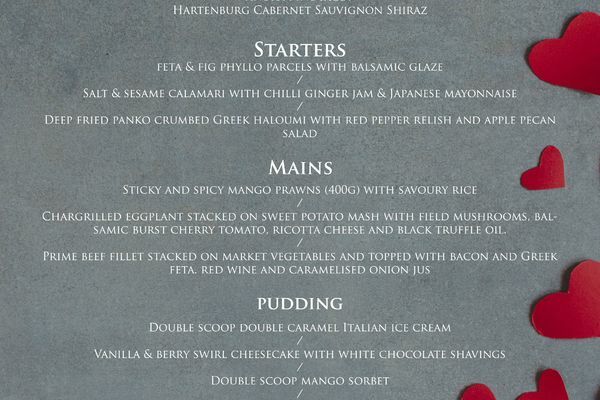 R325 per person. Book now on 031 762 3890.